If you have any questions about the MILLENIUM information page below please contact us. The motor yacht MILLENIUM is a 37 m 122 (ft) good sized aluminium boat which was built by Heesen Yachts and concieved by Heesen Yachts Design Team. The gracious superyacht has been created with a naval architect called Heesen Yachts Design Team. Omega Architects undertook the interior design and styling. Heesen Yachts Design Team was the naval architect involved in the professional superyacht design work for MILLENIUM. Her interior design was completed by Omega Architects. Heesen Yachts Design Team is also associated with the yacht general design work for this yacht. 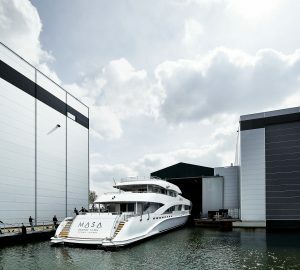 Built by Heesen Yachts the vessel was fabricated in the country of the Netherlands. She was officially launched in Oss in 2006 before being delivered to the owner. Her main hull was built out of aluminium. The motor yacht superstructure component is fabricated for the most part using aluminium. With a width of 7.1 m or 23.3 ft MILLENIUM has reasonable internal space. A shallow draught of 2.2m (7.22ft) limits the number of ports she can berth in, taking into account their specific characteristics. Powered by twin MTU diesel main engines, MILLENIUM can attain a top speed of 31 knots. Her propulsion units are twin screw propellers. She also has an economical range of 3200 nautical miles whilst underway at her cruising speed of 28 knots. Her total HP is 7400 HP and her total Kilowatts are 5520. The well proportioned luxury yacht M/Y MILLENIUM is able to accommodate as many as 8 guests in addition to 5 crew members. Her Engine(s) is two 3700 Horse Power / 2760 kW MTU. The Model type is 16V 4000 M90 diesel. Total engine power output 7400 HP /5520 KW. 3200 at a speed of 28 knots. The yacht was built with Heinen & Hopman AC. 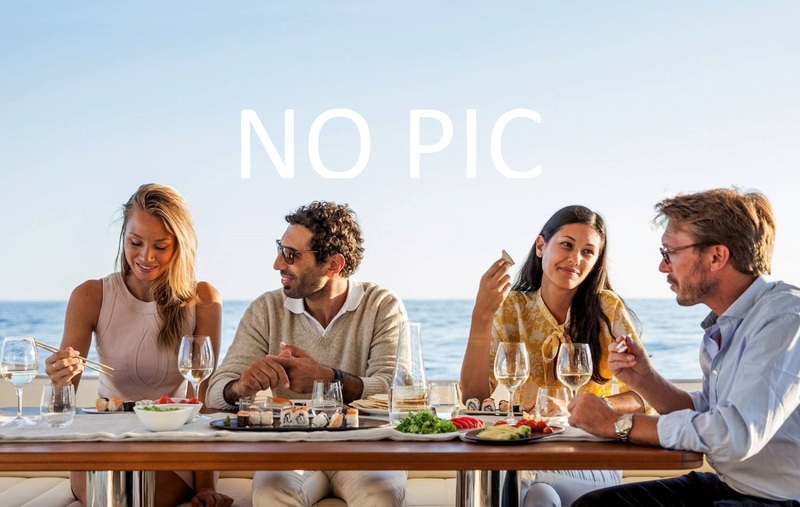 The luxury yacht MILLENIUM displayed on this page is merely informational and she is not necessarily available for yacht charter or for sale, nor is she represented or marketed in anyway by CharterWorld. This web page and the superyacht information contained herein is not contractual. All yacht specifications and informations are displayed in good faith but CharterWorld does not warrant or assume any legal liability or responsibility for the current accuracy, completeness, validity, or usefulness of any superyacht information and/or images displayed. All boat information is subject to change without prior notice and may not be current.